5.23 - Fixed a small bug with Desktop Scenes. 5.22 - This version fixed a few bugs with scenes loading up. 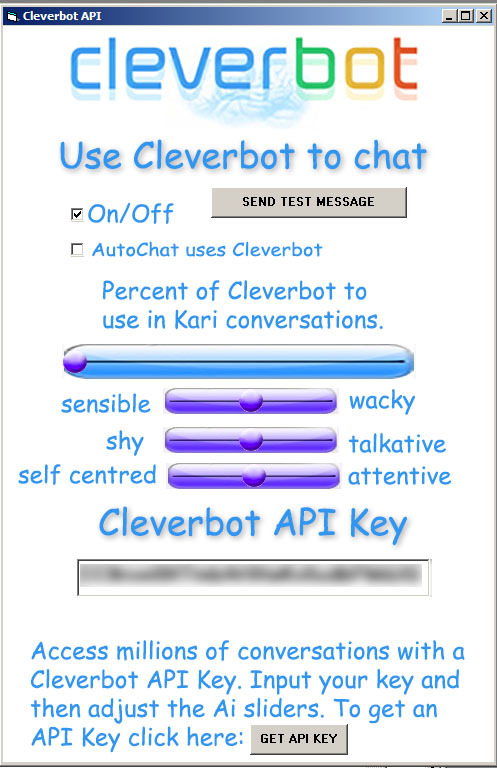 5.21 - This version adds support for the Cleverbot API. Documentation has been updated. Related plugin has been updated to support infinite relations. 5.11 - This version fixes several small bugs. One which was that nothing that was supposed to be capitalized stayed capitalized. Also, for PRO, the Related plugin has been extended to be able to contain up to 200 relations. And finally, I worked on the Concept Net plugin (also PRO only) and it should make more relevance now. Make your own Kari girls with Avatar Studio! Make your own Ai Girls with our SceneCreator and Daz3D © Studio and Models. Lhandslide Studios, Inc. All right reserved.